@Orion Hope you gonna review / recap this thriller/crime drama. You bet I will. Sounds just like the kind of show I'm fit for. Plus, without major "oppas" in it, it might not get much exposure. I do worry a bit about redoing the same plot of a very successful, quality film, but the 'Frequency'-like twist sounds promising. But with this PD and writer and the fact that this will be on cable, I wouldn't skip it for anything. You can't drag me away from it. Ahaha. It's always the drama with lesser known actors...not the hallyu type superstars that always seems to appear in excellent drama. Well. I want to post. Even if no news. Heh. If I like and interested. I'm active. Signal. Jan 2016. TvN. Will wait for for more casting updates. *coughs* Ji Soo or JR (MLED) or Han Groo. these young impressive actors/actress. Although I'm not sure what the story is about exactly, I do know it's crime/murder/thriller drama and anything like I'm always in! hmmm... The plot of story is interesting! Looking forward for this drama! Hello everyone and good day! @Molaihawaii Good day to you too! Lee Je Hoon says Hi too. Ha ha. More more more casting news and update soon, I guess. I'm waiting also. Well that’s an impressive cast lineup. It looks like a movie cast for starters, and a really good one at that.Kim Hye-soo (Chinatown, God of the Workplace) is the latest addition to tvN’s new crime mystery thrillerSignal, the newest drama from PD Kim Won-seok of Misaeng and writer Kim Eun-hee of Three Days, Ghost, Sign. Lee Je-hoon (Secret Door) and Jo Jin-woong (Full Sun) are already confirmed, and Kim Hye-soo has signed on to round out the leading trio. I am happy that Kim Hye Soo joins the drama. I can`t wait to see this project. I love when actresses over 40 get important roles. I love that they cast according to the script, they cast talented people and not just names that are popular these days. From the descriptions all three characters seams to be from the present, but let see. Maybe Jo Jin-woong`s character will be the link with the past. @larus the quote below.... thumbs up. I love that they cast according to the script, they cast talented people and not just names that are popular these days. I echo the same sentiments. 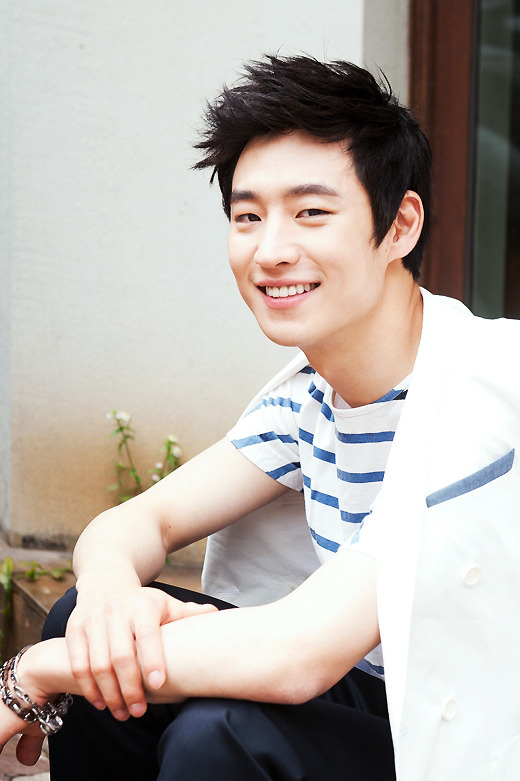 And Just because.... Lee Je Hoon! When I like I get active even if it's for next year. January 2016. This is actually the drama I wanted my fav yng indie actor to be part of. RT tweeps waiting for this drama just like I do. For now an update of my thoughts. And what kdrama network could learn from good director and writer. You don't cast someone because they're popular.. you cast them because they fit the part perfectly and they can deliver and they've got the potential. But of course it's the network who has the most say or the authority who they want to cast. He who produces (can) demand? But if you're the type of director or writer who goes for quality and integrity of drama than commercial success.. you're gonna have a lot of disagreements especially with the big boss(es). But fight for what you think would be right because after all how a story will evolve into good drama lies in the excellent writing, brilliant acting, top-notch directing of a drama. Ok, I know it's still early. I'll just post again the the 3 major stars cast for Signal. This one is what I'm looking forward. Pretty much obvious. Updating even if there's no new updates. Ha ha. Well I actually don't know anything about these stars. I've never seen any of their dramas. Maybe I have, but I dunno. Not sure. But mostly the dramas I like usually the ones with no Hallyu eye candy types. Just that very time I have too look at pretty faces but the acting is..ugh ugh..kinda ruins it. So this one is thumbs up for me. Casting updates? Let us know. Post. I'm excited for this! Lee Je Hoon..waiting for you! And I know who else I want to be part of this drama. Heh. Just checking in on this thread. No other updates yet. Waiting. Wish it's Jan 2016 already! I'm truly missing good action crime thriller drama right now!!! I've watched and re watched and marathon my favorite MBB(ocn) but I'm still wanting a good thriller! A good action crime drama! Yes! Back to this thread again. I check this every week! IKR... spell excited?! Ha ha. But while upcoming dramas having updates... I'm still waiting for this. So far... we know the PDfrom Misaeng will do this drama and we have 3 main leads already.... and and... and that's about it. Ha ha. We have very little news about this drama. I hope they will start filming so that we have at least some photos. January is not that far away. seems it was LJH who wore with uniform and black backpack. idk if the plot will including young version of LJH or one of the character, coz they were shooting in the high school. idk it's difficult to post image from DC. sometimes it would appear but mostly not. I hope it's work.